So there they go 24 hours of love and today is 15th of February - just a regular Sunday! Yesterday was an amazing day! Now, planning on what to write i realized it was VERY movie-like Valentines day but we didn't even plan it to be like that! At 6 p.m. we went to watch 50 shades of grey movie, which we already knew wasn't going to be a pleasant and satisfying thing to watch, but having bad movies in the collection is good too, plus there would be something to discuss while waiting for food... At 8 we had reservation in the restaurant but movie lasted longer than we expected and we only finished at 9! As the exit doors opened and we ran outside we were splashed with he pouring rain and the only thing that was missing is a music in the background while we cuddled and tried to find a way out. guess what happens next? What would happen in the movie? Yes, Taxi ride! So we run to the taxi and few minutes through shiny roads and yellow lights we got to the romantic ambient of my favorite place - Farol Design Hotel in Cascais! The dinner was already planned by the organizers, and the menu was set up with pre-dinner cocktail, which we missed unfortunately but still got it as we sat on the table! For the romantic Valentines day dinner i decided to go with the red, as when in doubt - wear red (or black) some people would say - so i chose those two colors! Textured, stripy back red top from Zara made me fall in love with it the first time i saw it; simple black trousers and boots and i was ready to go! Oh! forgot something! 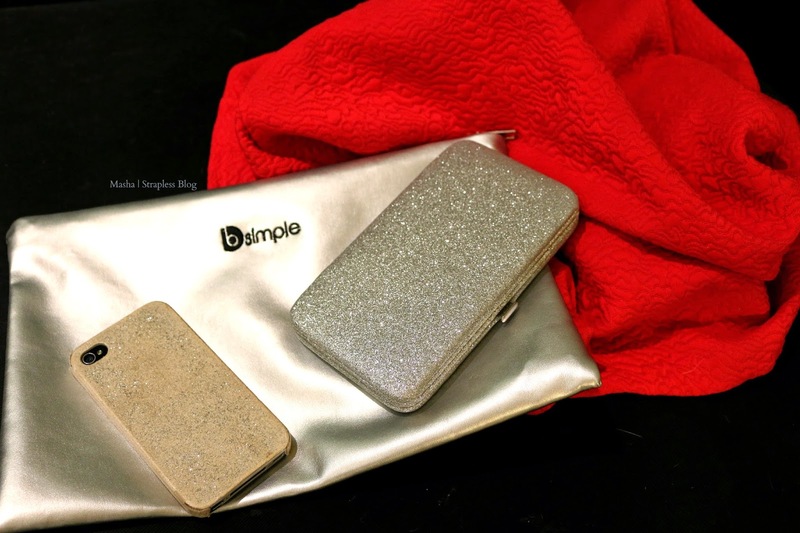 My dear BSimple sent me another beautiful silver clutch which by the way MIGHT BE YOURS! This little beauty can fit ANYTHING in it! My silver sparkly wallet from H&M, my phone with same-style case from Primark and few make up touches a self respecting girl should always have in her purse:) And guess what? It still had some free space for M's wallet & M's Motorcycle keys! There was a fortune teller can you believe it? and she said some stuff that made us both believe in these type of things.. since we both are pretty sceptic! but it was all positive! :) Great experience!